Former Guardian of Australia’s sovereign fund Future Fund Carol Austin has been appointed to the trustee board of State Super. In a statement, State Super, also known as SAS Trustee Corporation, announced that Ms Austin would join its trustee board. Between 2011 to 2016, Ms Austin was a Guardian of the Future Fund, serving as chairman of the audit and risk committee in her final year at the fund. Prior to that, she spent nearly two decades at Contango Asset Management as an investment services director. Ms Austin currently serves on numerous boards and committees, including Sir John Monash Foundation’s investment advisory committee and the Grattan Institute. 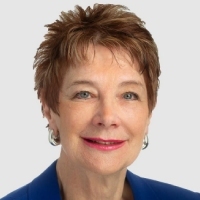 She is also commissioner of the NSW Planning Assessment Commission as well as chairman and member of the investment advisory board of the ACT government. Ms Austin has also served as a director at HSBC Bank Australia for eight years. Commenting on the appointment, State Super chair Nicholas Johnson said: “I have no doubt that Ms Austin will provide valuable insight from her vast experience within the industry, especially her current and past directorships, and has a very strong cultural alignment with what State Super is trying to achieve for our members.